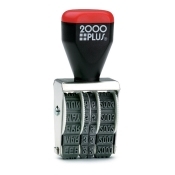 Our line dater stamps have a sturdy steel frame with easy turn wheels. These stamps provide an ecominical way to stamp the date. Ink pad required for use. Priced each.